Fellow Toastmasters! Thanks for coming to my old site. *Sigh* I’ve missed you. We had a lot of fun here didn’t we? Well, the journey continues folks! Let me tell you About my new website! 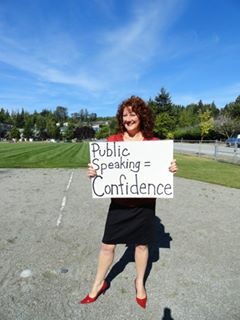 Toastmasters was one of the great tools I was able to use in transforming my life. Leaving the world of exotic dancing after 15 years was the biggest challenge of my life. My confidence in the real world was SHOT. But the things I learned and the people I met through Toastmasters continues to enhance my life to this day! Paula Howley is a place where I want to explore some of the deep human questions that many of us talk about in our speeches. Fear, hope, the masks we wear and the risks we take in stripping them off. Come and join the conversation won’t you? I know you folks are good at talking. 🙂 Hope to see you there!